I'm Marta, a game designer from Valencia, Spain. 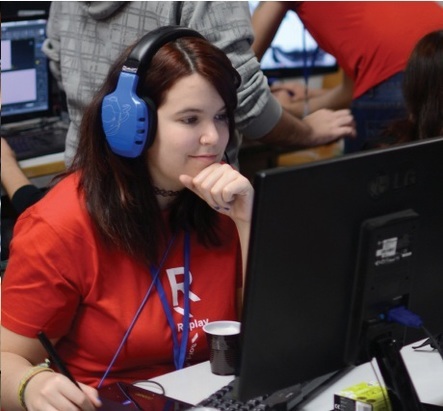 I studied Media and Comunication at UV but I put all my interest in script and videogame design so I decided to continue my studies at Florida Universitaria, where I did the Independent Videogame Development Master, winning the Women in Games beca. My main field is game and level designing but I also studied some 3D for fun and I can do basic programming. Now, I'm working with my team in our own game called Idearum, which I spent my summer working in 3th edition of Stugan program, and I also participate in other projects meanwhile. I currently collaborate writing in webs like Terebi Magazine and GameJamCurator and also in associations like Women in Games Spain and Femdevs. You cand find me here!